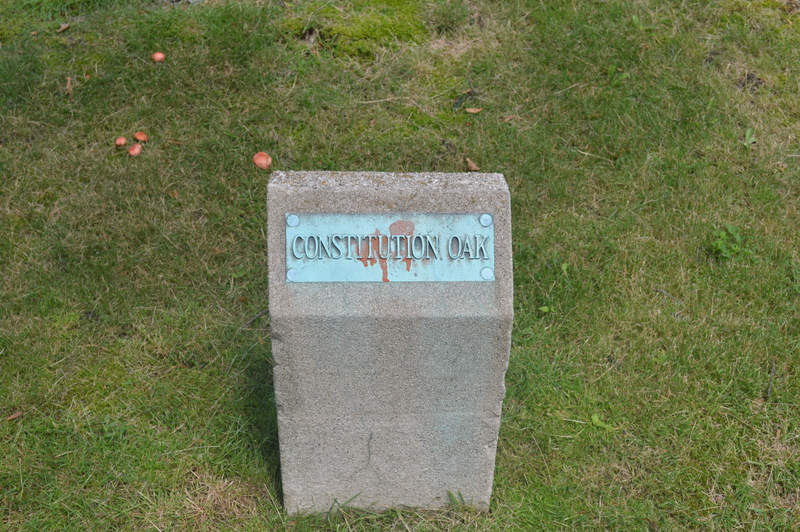 Connecticut, the “Constitution State,” has a unique history of state constitutions. The “constitution” that is celebrated on our license plates is the Fundamental Orders of 1638. This document stated that Connecticut held no political allegiance to England, but rather was loyal to its local government. In 1662 the Fundamental Orders were replaced by a royal charter exerting the King’s authority over the colony. However, Connecticut residents paid little attention to this document and continued to abide by the provision of the Fundamental Orders. 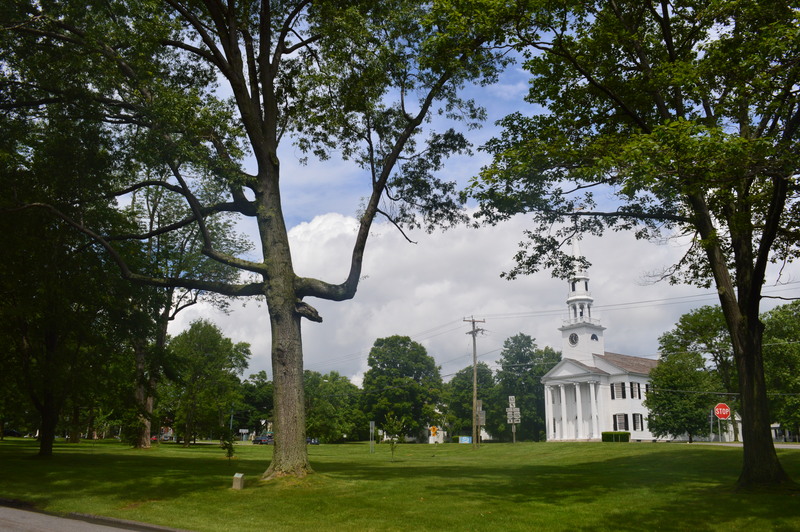 This continued until 1818, when provisions establishing the Congregational Church as the official religion of Connecticut were deemed incompatible with the relatively recent First Amendment. A new state constitution followed. The Civil War monument in front of the state capitol was erected at the time of the convention in 1902. By 1901 it was apparent that there were significant flaws in the 1818 constitution. Senatorial and House districts were set up according to geographic rather than population guidelines. The end result was that Union, with a population of 1,000, had the same number of representatives as New Haven, with more than 100,000 residents. 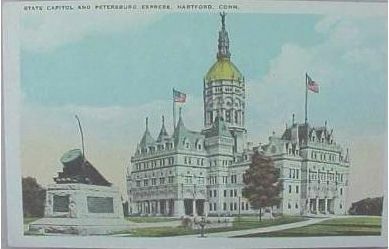 In 1901, Connecticut voters called for a constitutional convention by a 2-1 margin. The convention put forth a proposal that would award towns between one and four representatives based on population. This was not enough for the cities, but too much for the small towns, and the proposal was voted down by another 2-1 margin. That convention would be all but forgotten except that each of the 168 delegates (representing every municipality in the state) was given a pin oak seedling to plant in their town. 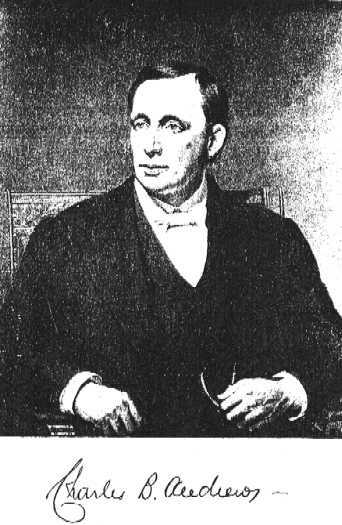 Charles Andrews, one-time governor (1879-1881) and then chief justice of the state supreme court was Litchfield’s representative and the presiding officer of the convention. He planted his at the eastern end of the town green. Periodic surveys of these trees have revealed dwindling numbers. Of the 168 original oaks, 110 were still standing in 1939 and 86 in 1986. The last survey, conducted in 2002, revealed only 74 remain. 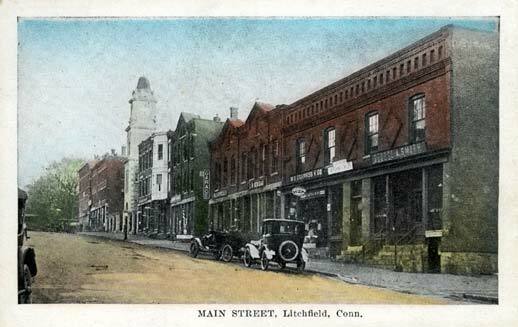 While a new state constitution was finally approved in 1965, Litchfield’s oak – a reminder of a failed constitution – still stands. This entry was posted in History, Nature, Uncategorized and tagged 1902, Charles Andrews, Connecticut, constitution, Litchfield, trees by pvermily. Bookmark the permalink. I had always heard that CT had 169 towns and cities, not 168. Which is correct? There are 169 towns in Connecticut today. However, the 169th was West Haven, which was established as a separate town in 1921, after the 1902 Constitutional Convention. Prior to that it was part of Orange. Thanks for your interest in this blog!